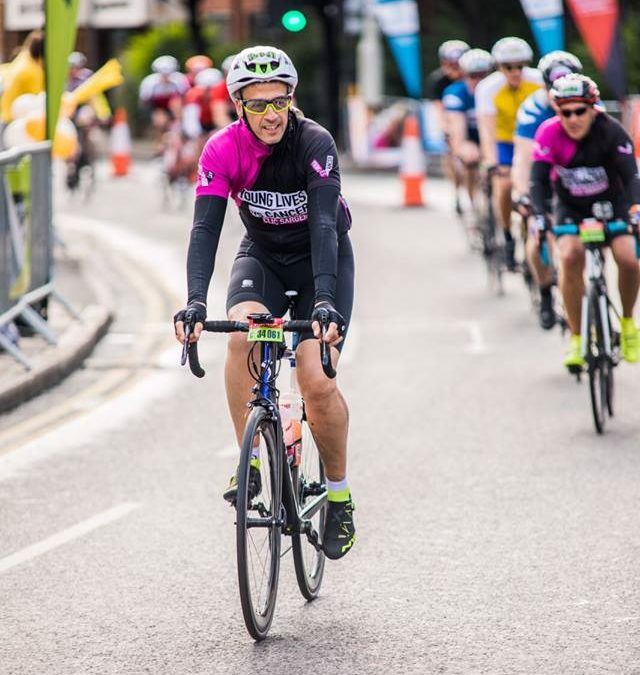 Congratulations to Adrian for completing the Prudential Ride London, a 100mile bike ride made famous by the road race in the London 2012 Olympic Games. The route started in the Olympic Park and the riders had a rare opportunity to cycle through traffic free roads in London before heading out into the countryside to take on the famous Box-Hill zig-zags. The route then headed back in to London, following the Embankment and finishing on The Mall. Not only was this a chance to complete a personal challenge it was also an opportunity to help raise awareness and money for a great cause. Adrian fundraised for CLIC Sargent, a charity who help and support children and young people with cancer. From diagnosis, CLIC Sargent’s specialist care teams step in, ready to help, support and guide. They provide a specialist package of support tailored to each young cancer patient and family. Adrian managed to raise over £500 for this worthy cause and we are really proud of all his efforts.